Capricorn has launched its 2019 Rising Stars Apprentice of the Year competition, which helps members recognise, reward and retain their high performing repairers. 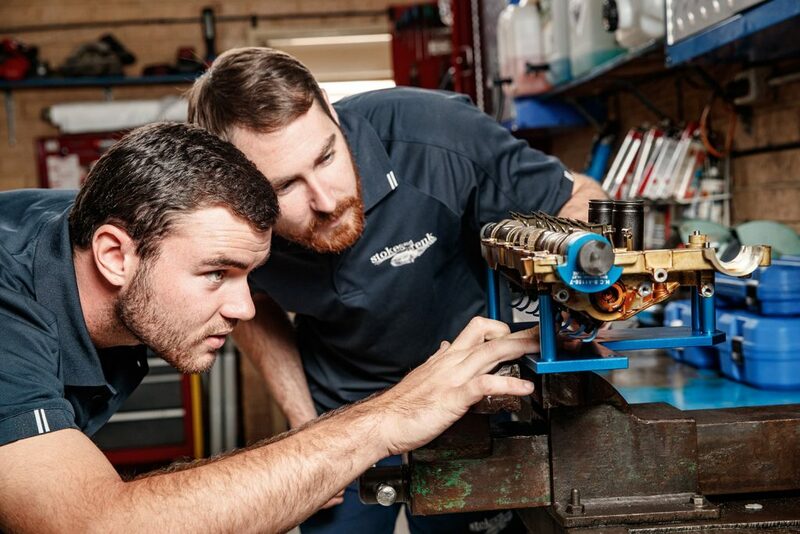 With support from major sponsorship partner Castrol, Capricorn will identify outstanding apprentices from more than 20,000 general automotive, collision repair, commercial vehicle, auto-electrical, fabrication and other automotive member workshops across Australia and New Zealand. Offering more than $20,000 in prizes, the competition runs from February to April, 2019. The winning apprentice, their workshop boss and two friends will score an all-expenses paid trip to the Gold Coast 600 Supercars race meeting, along with 150,000 Bonus Capricorn Reward Points (valued at $1500) from Castrol. The winner will also receive training at the Workshop Whisperer’s Leadership Academy to help fast-track their career development. The top five finalists, including the overall winner, will receive a $1000 tool kit and Autopedia subscription from Repco, two tickets to attend Repco Masterclass Clinics, additional online training from AutoMate and tickets to the Capricorn Gala Dinner and Tradeshow in their closest city, along with additional prizes. Capricorn CEO Automotive and Rising Stars judge, David Fraser, described the Capricorn Rising Stars Apprentice of the Year competition as an important initiative to assist in addressing the shortage of qualified mechanics and other repairers. “We’ve listened to our members when they’ve told us that one of their biggest concerns for the future is the lack of qualified mechanics and technicians. As a co-operative that exists purely to make it easier for our members to run and grow their business, Capricorn is very pleased to be running this top performing apprentice-based initiative,” said Fraser. “It’s not just about who wins. Through Capricorn Rising Stars we hope to encourage more of the best young people working in the industry, letting them know that they have a bright future ahead of them,” he added. The Capricorn Rising Stars judging panel includes some of the most experienced automotive aftermarket industry professionals in the country. The panel includes AAAA Chief Executive Officer Stuart Charity, Castrol General Manager (Australia & New Zealand) Tanya Ghosn, TaT Biz Director Jeff Smit, The Workshop Whisperer Managing Director Rachael Scheldrick, and Gavin Cribb from the Kangan Institute’s Automotive Centre of Excellence. To enter, Capricorn Members must nominate apprentices at www.capricornrisingstars.com. Nominees have until 30 April 2019 to complete their applications.